Do you need instant energy? Feeling Down? Check out this Home Made Energy Drinks which will give you instant Energy. Artificial energy drinks which are available in the market are very harmful to the body. It contains much caffeine and sugar which is harmful for our body. 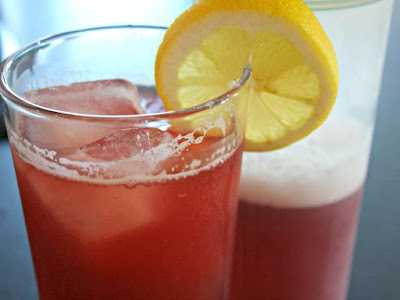 If you want all day energy then you should avoid drinking energy drink and start drinking home made drinks. Banana Shake: Banana gives instant energy which is not quickly digesting and your stomach remains full. Banana has vitamin, minerals such as potassium and phosphorus which erase the fatigue and increases the energy. Apple Shake: Apple is also a energy fruit. You will remain always active by eating it. You will feel energetic all day if you drink milk mixed with apples. Lemon and Honey Juice: Amino acid works quickly to increase the body’s energy. It burns the fat and shortage of water. If you have muscle pain then you can mix ginger in water and drink it. It will remove the muscle pain. Carrot Juice: Carrots has high amount of vitamin, protein and minerals. You can maintain the energy level. Carrot juice relives fatigue from the body. If you feel tired after work then you can add egg yolk and drink it. It removes fatigue.